Discover What Mercy Is All About! Discover Mercy is a morning program offered for fifth, sixth and seventh grade girls and their families to experience Mercy by enjoying activities, student performances and informal conversations with Mercy students, parents, administrators, faculty and alumnae. Join us on Saturday, March 23, 2019 from 9:00 a.m. - 1:00 p.m.! 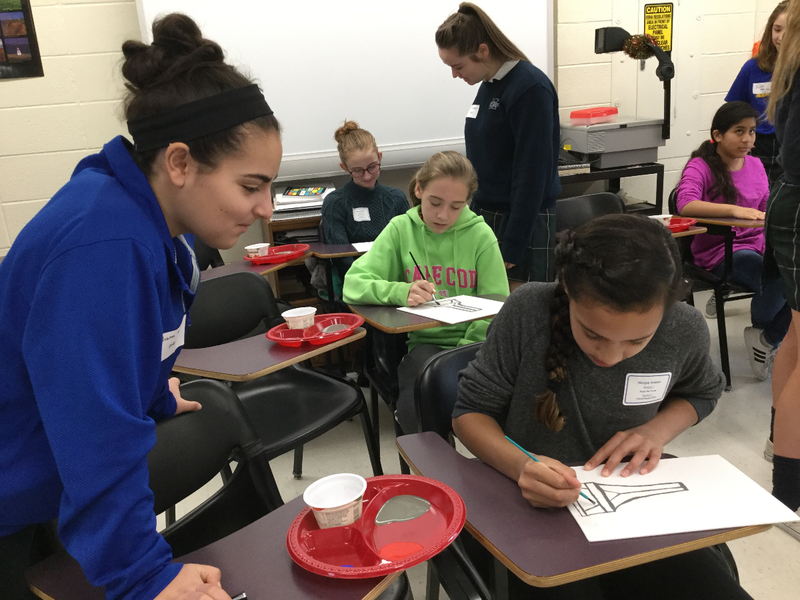 During "Discover Mercy," girls have the opportunity to spend time in the classrooms with faculty and students while attending “classes” such as Beginnrt's Yoga, Paint the Town, Mad about Math and Theater Arts Workshop. Meanwhile, parents may attend an informal question and answer session and participate in programs designed especially for them. Following the morning program, everyone is invited to lunch in the cafeteria and experience a performance by the Mercy/Xavier "Vocal Dimension" Show Choir. Mercy Student Ambassadors are available to lead tours of the school at any time during the morning, including a stop at the school store! "My daughter had a wonderful time Saturday at Discover Mercy. She made a few new friends from other schools, which I was excited to hear about. Thank you for an informative and nice time!" "We had a blast! I am an alumna from 1987 and it felt great to be back."